Database Analyzer | Developing Software for a New Age | Malloc Inc. Gather various information about data and databases, for example: volumes, data patterns, database engines and more. DB Analyzer is designed to help IT personnel understand how and what data is stored inside the database. It gives a huge jump-start during data analysis, data mapping, conversion, system development, optimization, troubleshooting and during any task where good understanding of the database and respective data is required. 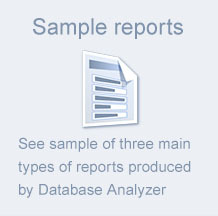 Try Database Analyzer today – download the trial version and analyze as many databases as you want. The only limitation is that it will include only first 5 tables in reports. Once you get the licensed version, you can produce complete reports using the same analysis you had done previously in the trial version (unless there are changes in the database). 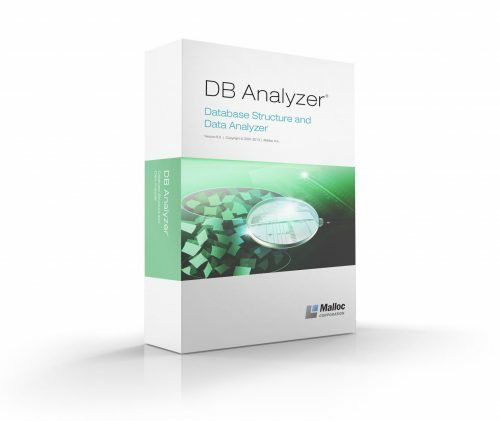 DB Analyzer runs analysis on database structures and data. That means this software is distinguished from CASE tools such as Erwin and Power Designer which you can use to analyze database structures, but not data. Moreover, while CASE tools are primarily used by system architects and developers, DB Analyzer is an excellent tool for both Business/System Analysts and architects and developers. All this information can be obtained with the help of SQL commands. However, that way requires certain skills, otherwise it becomes tedious and prone to errors. 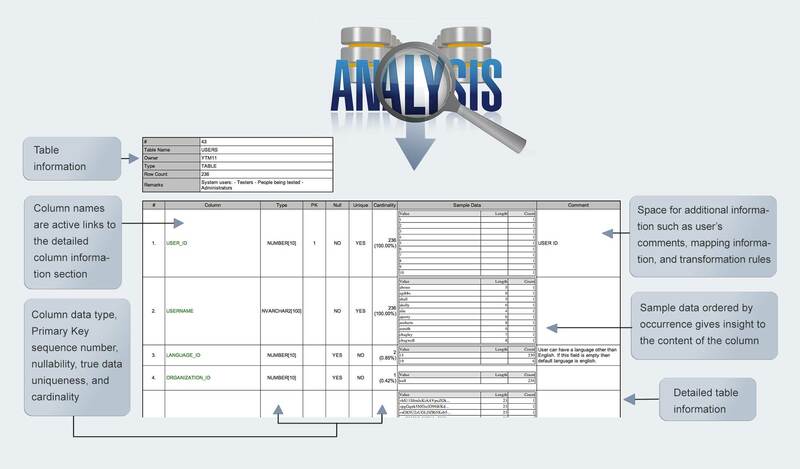 DB Analyzer provides a consolidated and convenient way to exploit this information at your whim.